INDIANAPOLIS, April 15, 2019 /PRNewswire/ -- In a move designed to speed growth in the fast-growing telematics industry, Synovia Solutions, LLC (Synovia) announced today that it has been acquired by CalAmp (Nasdaq: CAMP), a technology solutions pioneer leading transformation in a global connected economy. "This is an exciting time for Synovia as we join a host of other respected technology brands to become part of the CalAmp family. It will allow us to better serve our current customers and scale the businesses," said Jon King, CEO, Synovia. "Synovia has doubled the size of our business in the past few years and this acquisition will allow us to further accelerate our growth and provide greater value to customers while providing stellar customer service that builds on our Fleet Advisors and Synsurance? programs." CalAmp has served as Synovia's telematics technology provider since 2003. Synovia is a leading provider of fleet tracking solutions for commercial and government markets, delivering cutting-edge solution for cities, counties as well as public and private education transportation providers. Synovia captured an Innovation Award in the Mobile Computing category from IHS Markit at the 2019 Consumer Electronics Show for the Here Comes The Bus mobile app. 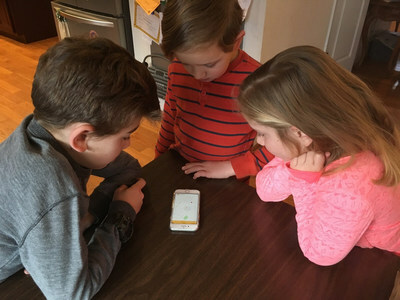 With more than one milion registered users, Here Comes The Bus has won plaudits from parents and educators for its simplicity and reliability, earning 4.6 stars on the Apple App Store with nearly 50,000 reviews. With the acquisition of Synovia­­­­­­­­­­­­, CalAmp continues its expansion in subscription-based services. The acquisition will improve Synovia's ability to leverage CalAmp's extensive telematics solutions and services including CrashBoxx™ (crash alerts and accident reconstruction), SC iOn Command™ (supply chain visibility) and LoJack® SureDrive™ (connected car app). Synovia can also tap into CalAmp's global reach with successful services like Here Comes The Bus. "This acquisition positions Synovia to accomplish two essential goals: better serve our current customers and expand with greater momentum into our focus on the municipal government industry," King said. "Our history of delivering game-changing software and outstanding customer service matched with CalAmp's authority and reach across the telematics industry makes us bullish on the future of our combined innovations and shared destiny."